DO YOU WANT TO ACHIEVE BETTER RESULTS? WORKING WITH A COACH FROM WAY2CHAMP IS WHAT ALWAYS WORKS! 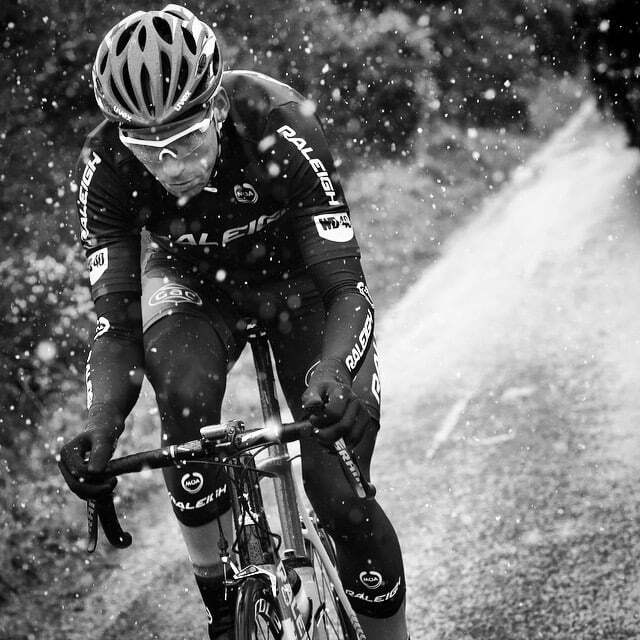 Do you want to improve your cycling or triathlon performance? Are you thinking of starting in cycling or triathlon? If so, there is no better place to start than here. There is one crucial factor that determines why some cyclists and triathletes reach their objectives much faster. Do you know what it is? Independently of whether you want to start trainingor you are a professional taking part in competitions cooperation with a coach is the key factor in success. If you have tried and gave up after a couple of months, or had no improvement for a long time, there might be many reasons. The most important one, and one you can change, is having a competent and well-experienced mentor, who will lead you along the best path. Our coaches can help strengthen your weaknesses and enhance your strengths, to unlock and polish all that’s best in you - to make you satisfied and happy, seeing how your life changes. But you think you’re no spring chicken anymore? People we coach are 40, 50 and even 60 years old! They are well fit and feel great. Age is just a number, and sport may give a lot of joy, no matter your age! It is never too late to start! You already compete, you have been through better and worse seasons, you lack predictability, and you don't know how to professionally prepare yourself for the season to be fit when you need it. But still racing and training is essential to you. Regardless of your sport’s level, you want to have a clear vision of where you’re heading - day by day, month after month, and also motivation and a coach to plan your training according to your individual needs, your current fitness level and available time. Are you sure that your training brings you closer to your objective? Have you ever had the feeling that you don't know how to train? See whether in your situation, it is worth to start working with a coach! Dzięki współpracy z Arkiem w przeciągu 1,5 roku z poziomu rekreacyjnego kolarza z zerowym stażem treningowym trafiłem na podium Mistrzostw Polski Masters. Rozsądny plan pozwolił mi podnieść generowaną moc i zrzucić zbędną tkankę tłuszczową, jednocześnie unikając przetrenowania. Zdecydowanie polecam Arka każdemu zmotywowanemu do pracy nad sobą kolarzowi. WHY IS IT WORTH IT TO TEAM WITH US? At Way2Champ the interest of the athlete is primary - your satisfaction is the priority of our daily work. While we train together, we want the athlete to be the center of attention; the coach is a guide, standing by. We focus on great communication. This is why in our team, we consider that fruitful cooperation between a coach and an athlete as not limited to writing a training plan and analyzing files. Sport is our passion; it simply gives us wings. We understand coaching to be comprehensive: an injection of inspiration, modelling the way, motivational, and a conversation on whatever subject is relevant whether related to sport or not. The secrets of our efficiency are our high professional competencies and our vast experience, which translates into a comprehensive approach for each athlete. You may be just starting in multisport or you may be an individual who has already achieved a high level. We know that in both cases, contacting us will bring mutual and long-term success, through a smart and committed relationship. An experienced coach with a minimum of 10 years of practice and theory in cycling or triathlon, who will build your training plan based on your personal needs and objectives. Self-confidence: the improvement of performance will significantly increase your self-esteem! HOW CAN WE HELP IMPROVE YOUR PERFORMANCE? 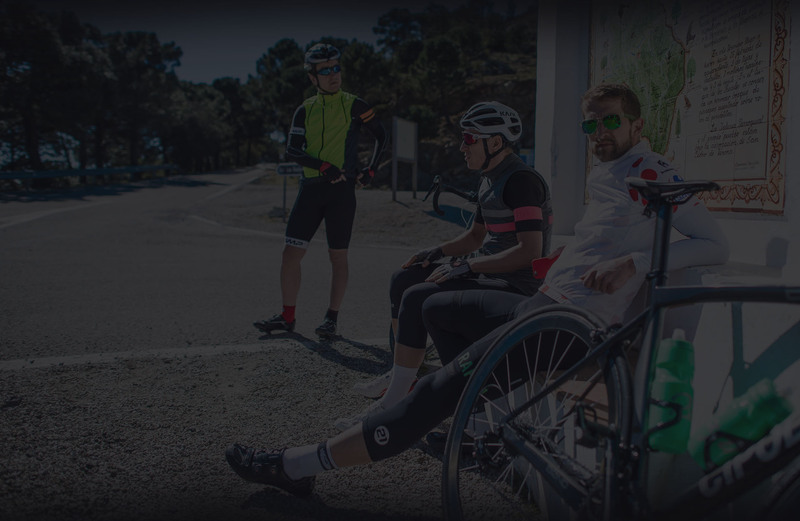 Everyone at Way2Champ has been a cyclist or a triathlete for over 10 years, we have significant theoretical and practical experience in coaching, and we know that your performance consists of numerous variables that include nutrition, motivation, fatigue, technique, and equipment. However, physical fitness and psychological approach are the most important among them all. We will help you become an increasingly stronger athlete. You got it for sure. See the improvement in performance of individuals of different ages. These graphics present the Power Profile from Training Peaks App which we utilize. The results in these graphics show the maximum powers (5 seconds and 1-5-20-60 minutes). The columns are grouped every 8 weeks. Here you will see how your physical fitness and possibilities grow weekly. You don't have to be an expert in these graphics as you will notice the results in your daily workouts and most importantly on race days. Additionally, you will notice the benefits for your physical fitness and emotional state. Does it work? Some people we coach laugh and say that it is a fantastic feeling when you are 40-45 years old, and you are ahead of 20 year-olds. This speaks for itself! If you’re wondering whether coaching is the right move, you should see the achievements of the athletes we coach. Nothing is as convincing as results and our athletes have numerous accomplishments. It is a source of pride for us to stand by them, observe their progress and applaud them. See our hall of fame and join us. YOU HAVE NEVER BEEN COACHED? DON'T WORRY, WE ARE JUST LIKE YOU! A lot of people who haven’t been coached yet are afraid that they will not find themselves compatible with a coach. If that is your case, take it easy. With us, you receive support, step by step guidance and great atmosphere. And because we use the most professional tools to measure your progress, you’re going to notice the results, which you’re going to be proud of, just so. Your self-confidence and faith in your capabilities will grow. Sounds good? Arek Kogut and Iñaki de la Parra had the idea to create Way2Champ. Both entrepreneurs and professional coaches with more than ten years of experience as elite athletes each, in their disciplines: Arek in cycling and Iñaki in triathlon. Arek is one of the biggest cycling enthusiasts in Poland, editor of the training section of the SZOSA magazine and the only certified coach of the UCI (International Cycling Union) in Poland. Iñaki posesses elite experience both as a coach and professional triathlete. He has been mentored by excellent triathlon coaches from Canada, Australia, USA, and Russia and learned to implement those best practices into his own coaching style. And most of all: modest guys! Way2Champ is a well-tuned team of guys, who are ambitious, have their passions and great objectives, just like you. All coaches have at least ten years of experience in endurance sports. They are true cycling and triathlon mind-setters with a positive and winning mentality. They won’t just throw a training planning at you. Their coaching will also focus on mental preparation. Why? Cycling and triathlon are but one piece of a multifaceted life. After each kilometer on the road, you will become more self-confident and want to raise your game higher! WHAT HAPPENS WHEN YOU CHOOSE NOT TO TRY? N Not much is going to happen. There are thousands of ways to achieve your objectives. But if you have already tried different methods, and found them ineffective, just remember that it is not your fault. T he truth that it may be the result of a lack of experience and inefficient work methods. The remaining part, i.e., the discouragement, the decline in self-confidence and the lack of motivation are the consequences of that lack of results. I t is natural, that when you don't get what you want, it causes frustration. How can we change this? Many athletes train on their own and have no results. Nothing changes, and it makes them even more annoyed. It is a problem both for beginners and professional athletes. Nobody likes to be stagnant. A nd now imagine, that a coach with ten years of experience in motor preparation is monitoring your progress. You have an individually prepared program, fitted to your unique background and expectations. A nd most importantly - you see yourself developing. Can you imagine how fast you can progress under such circumstances? Y ou can overcome and avoid injuries, over-training and discouragement. You go and get what you want much faster than others. Remember that the smartest sportsmen make use of experience of even smarter athletes. S o now you have a choice - you may continue working on your own, and it might take, e.g., three years. Or you may work with us and get the same results in 1 year. Which way do you prefer? You choose.